If it's already summer where you live, it's probably a great time for outdoor fitness activities. Running, cycling, or jogging are awesome exerciser for you to get in shape. And if you want to lose or control your current weight, it is essential to keep a record of your results. Using a sportsband (link/link) for instance, will allow you to verify whether you are on the right track and stay motivated. But it's essential to keep record of your weight progress. 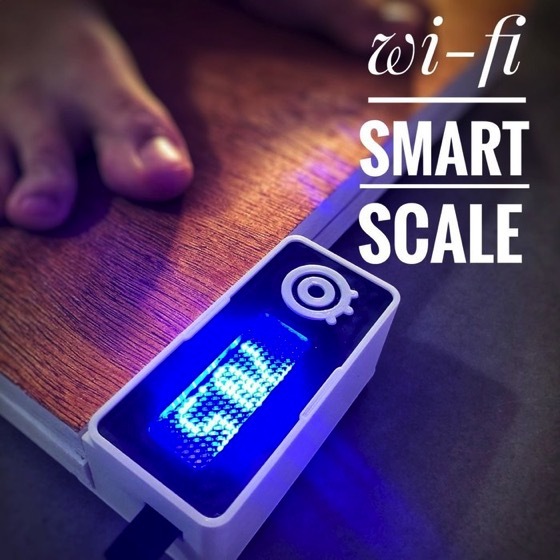 And with the right tools and using a little electronics and programming, you can make your own internet connected bathroom scale! You can find several bluetooth smart scales of different manufactures online (http://bit.ly/2ioV8aH, and http://bit.ly/2znTMQz for instance). But instead of buying one, why not lose some weight by making your own gadget?